Former Microsoft CEO Steve Ballmer bought the Clippers basketball team and quickly went to work to end bullying from Apple. His first order of business was to ban all Apple products from the Clippers organization. With this ban, it's assumed that all players will get new Windows Phones to replace their beloved iPhones, all computers throughout the organization will be running Windows 8 and even Joe the freshman intern will probably get a Windows Phone to replace whatever phone he was using. Players will also not be able to wear Beats headphones that most players seem to prefer. In case you were sleeping throughout 2014, Apple purchased Beats for about 3 billion earlier this year. The best marketed phone company buying the best marketed headphone company is a match made in heaven right? Well, not so much. Beats are known to be overpriced and not worth anything near their actual cost. Well respected youtuber MKBHD did a video explaining everything about Beats being over priced so I won't go into detail about it. Beats are popular because they dumped tons of money into marketing to ensure that every well known professional athlete is seen wearing their headphones. They don't have to make commercials because every NBA and NFL game shows players either getting off the bus, doing pre-game warm ups or post game locker room interviews with Beats headphones on their head. Just Google Beats sponsored athletes and you'll see what I mean. 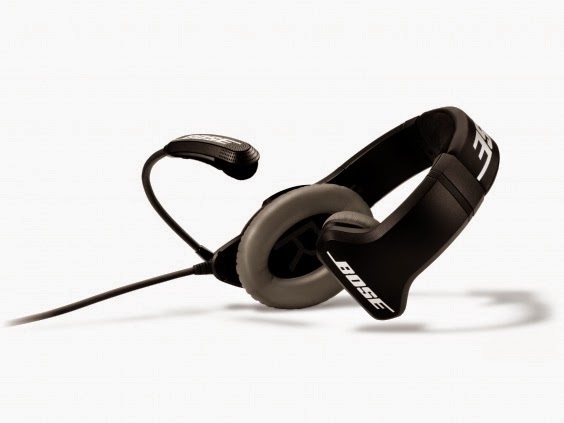 Bose recently purchased the right to be the sole sideline headphone in the NFL and have banned all other headphones on the field. I personally think this is a great move and mimics what Apple would have done if they won the sponsorship deal with NFL. Some may cry foul because for once, it's not Apple striking a deal like this, but honestly, it's about time companies started mimicking what Apple has done for years. You'll no longer see your favorite QB warming up with Beats on his ears which probably means nothing to the athlete since Bose (which is known to provide superior sound quality) will probably just supply teams with tons of headphones to give out. Its these minor details that Apple has implemented for years, allowing them to control their brand and eliminated competitors. It's very similar to how you could only get an iPhone on AT&T for years, then it was only available on AT&T and Verizon until finally it came to T-Mobile and Sprint years later. In summary, tech companies are finally taking a stand and implementing some of the same tactics that Apple as done for years. Microsoft put the Surface tablet/computer hybrid in front of your face every Sunday, Ballmer banned all Apple products from the locker room, Samsung makes commercials mocking Apple, and now Bose kicks Beats (and essentially Apple) off the field while the cameras are on.